Necia Wolff specializes in instruction addressing information retrieval methods for researchers in higher education. The library instruction courses she teaches include database search and retrieval methods, the use of data sources and extraction techniques, and citation and research management. She is the liaison librarian for several departments at the University. 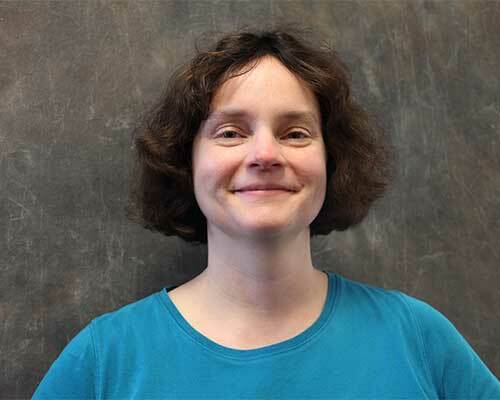 Wolff is also the Blume Library webmaster, and as such, has a commitment to the ongoing development of a learning-focused, collaboratively-authored academic library website. She maintains memberships in the American Library Association and the Texas Library Association and in Council of Research and Academic Libraries (CORAL) interest groups. She has held leadership roles in various professional organizations during her time at St. Mary’s University. At St. Mary’s, she has served on the Faculty Senate, the Academic Affair Committee of the Board of Trustees, and the University Research Council. Wolff earned master’s degrees in library and information studies and in computer information systems. She has a bachelor of arts in history. She joined the Louis J. Blume Library faculty in 1999. Her personal enthusiasms include reading, travel to historical locations and major museums, mathematics and statistics, and tai chi.